There is an argument that Nottingham Forest are one of the most famous clubs outside of the Premier League. They are one of a select few English clubs that have won the European Cup, for example. 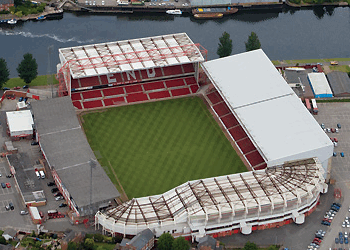 The success that they have enjoyed over the years has pretty much all been achieved at The City Ground, the stadium that Forest have called home since it opened in 1898. Before that they lived a somewhat nomadic existence, spending time at no less than six different grounds over thirty-three years. 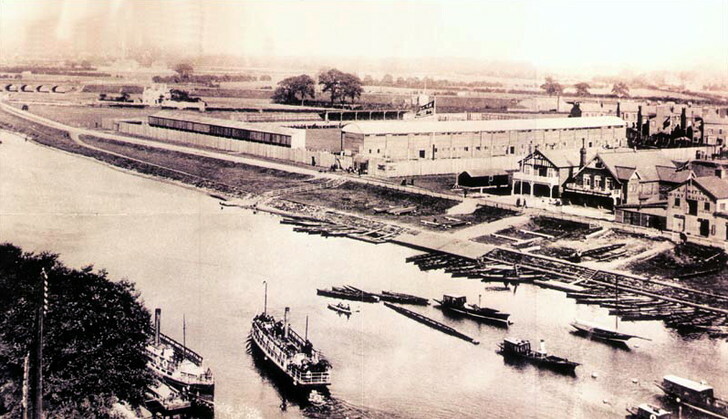 They moved to The City Ground in September of 1898, with the new stadium located not far from the old Town Ground and opposite Trent Bridge. 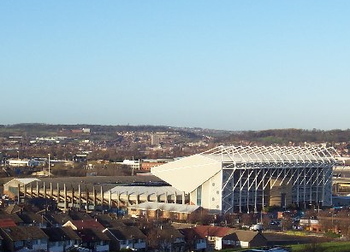 The name of the stadium was given as a reflection of Nottingham’s newly achieved city status. To begin with it was nothing more than a pitch with just one stand at the end, exposed to the public - and the elements - on the other three. 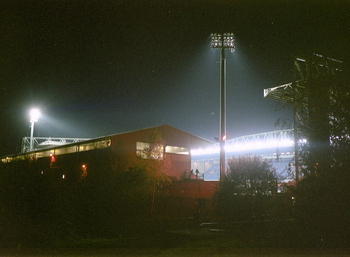 Stands were built over the years, of course, and in 1968 The Main Stand caught fire during a game between Forest and Leeds United. 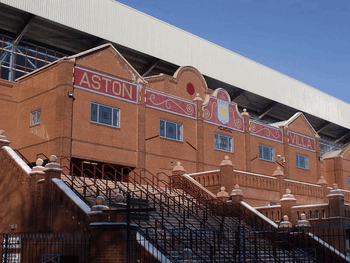 Although much of the club’s memorabilia was destroyed not one person from the 31,126 capacity crowd was injured. 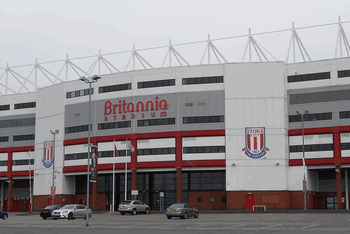 The Brian Clough Stand - Named after the club’s most famous manager, this stand was built in 1980 and cost £2 million. It runs along the side of the pitch and has two-tiers that are divided by a row of executive boxes. 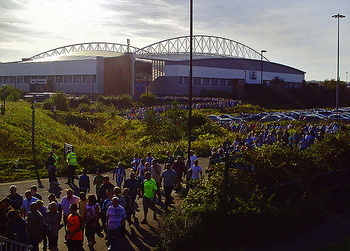 The Bridgford Stand - This stand was rebuilt in the 1992-1993 season and has an unusual look to it because the local council required the roof to dip in order to allow natural light to reach nearby houses. 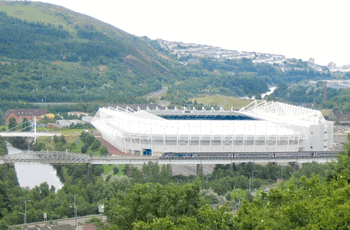 This is the stand that the away supporters are normally located in. 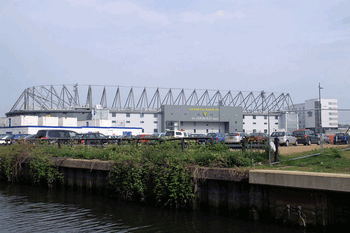 The Trent End Stand - This stand is so named because it is the closest to the nearby River Trent. 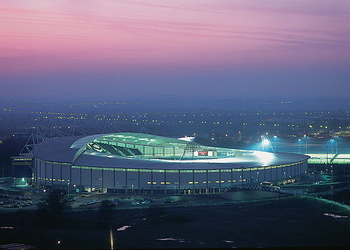 It was re-built before the ground was used to host matches for Euro ’96 and has two-tiers that are divided by a row of executive boxes. Tickets for Nottingham Forest matches vary as the season goes on, though at the time of writing adults will pay at least £20 and at most £30. The prices are released around three weeks before the fixtures, so check around that far in advance of when you're hoping to go. Buying tickets for Forest games is nice and straightforward. The best way is to go to the club’s official website. If you find buying things online a little impersonal or don’t trust websites then you can also pick up tickets in person at the club’s ticket office or by calling the ticket hotline. Train - The City Ground is just one mile from the centre of Nottingham, so if you want to get the train it won’t take you too long to walk to the stadium. Nottingham Train Station is easily reachable from pretty much any mainline station in the country, though you may need to change trains if you’re coming from somewhere weird. 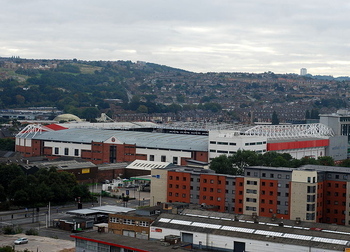 Bus - There are a number of buses that run from Nottingham city centre out to The City Ground, stopping at the McDonalds to the South of the stadium, the Victoria Embankment and the County Hall. Car - From the North take the M1 to Junction 26 and get onto the A610 before getting onto the A6514 and then the A6011 before following the signs. From the South you’ll leave the M1 at Junction 24 and follow the A453, the A52 and the A6011, again looking out for the signs. From the East take the A46 or A52 then follow the instructions from the South. Finally from the West get on the A/M42 to the A50, the A453, the A52 and the A6011 and follow the signs. 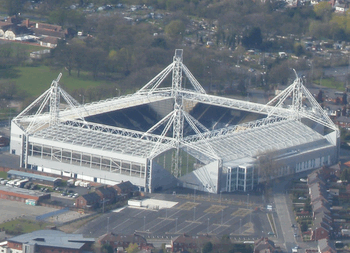 By Air - East Midlands is the nearest airport to The City Ground and is found about thirteen miles to the South-West of Nottingham city centre. 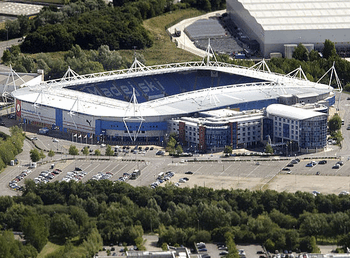 The Skylink bus will take you to Trent Bridge, which is right next to Forest’s home stadium. Taxi - A taxi from Nottingham city centre out to The City Ground will take about ten minutes and cost the same number of pounds. 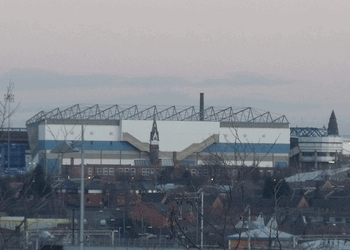 If you get caught in traffic, which isn’t out of the realms of the possible on a match day, then it will take a bit longer and cost more accordingly. 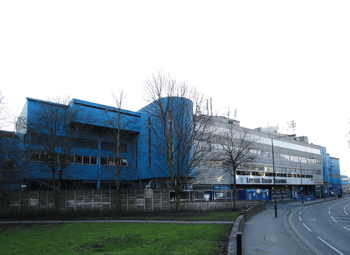 Parking at the ground itself is limited, so you might be better off looking at the club’s approved car parks. 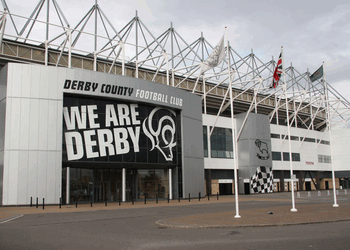 These include Notts County’s ground Meadow Lane, the Victoria Embankment or County Hall. The Jurys Inn is around a mile from the ground and offers a restaurant and bar, meeting rooms and free Wi-Fi. More details. 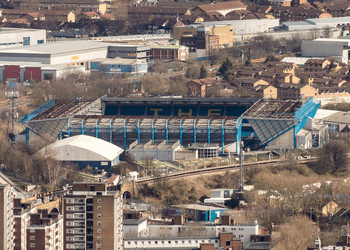 As the name suggests the ibis is in the centre of Nottingham so it’s about a mile and a half from the ground. As well as the seemingly obligatory free Wi-Fi you’ll also get a restaurant and bar, computer stations and free newspapers to read in the reception. More details. 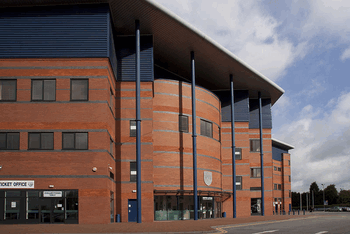 The Park Plaza has a fitness centre, meeting rooms, a restaurant and bar and a business centre, should you require somewhere to do some bits and bobs before you shoot off to watch the match. More details. The Meadow Club is the closest ‘away friendly’ pub to the stadium and is located right next door to Meadow Lane stadium. It serves drinks and does do food, though you might struggle to get a bite to eat on a match day. The only restaurant of the American sports bar chain in England, Hooters serves brilliant food, loads of drinks and has sport on big screens throughout the place. Well worth a visit if you’re in Nottingham. An Irish bar that serves real ale, pub food and shows as much sport as you could possibly want to watch. What’s not to love? Given that the majority of the stadium was re-built in the ‘80s and ‘90s The City Ground isn’t as bad as it could be, but it’s still rather tired. That said, there are plenty of places on the concourses to buy a drink or a bite to eat, like a pie or a sausage roll. The 1865 Club - Here you’ll get access to a private members’ bar and bistro, with the opportunity to purchase drinks and food before the game. Your time there will be hosted by a club legend and you’ll also enjoy padded seating on the half-way line. The Robin Hood Suite - Named after one of Nottingham’s most famous sons - though he never played for Forest - The Robin Hood Suite offers a two-course meal, access to a pay bar, a pre-match interview with a former player and seating in The Peter Taylor Stand. The Castle Club - This package is hosted in the Pitch Sports Diner and is a more informal hospitality experience. You’ll be able to buy drinks from a bar, purchase home-cooked style food and you’ll get seats in The Trent End viewing gallery. 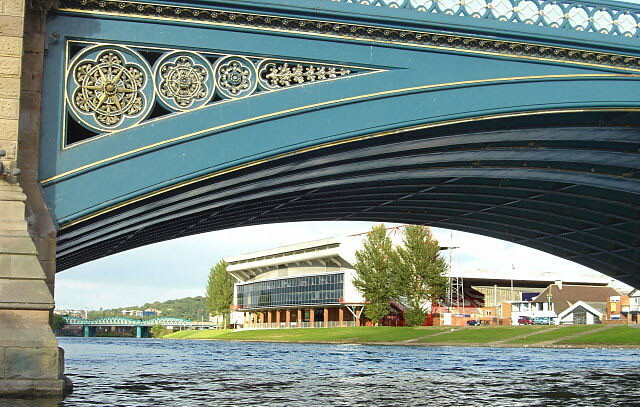 The City Ground boasts some of the most versatile suites in the East Midlands. It’s an ideal location for business meetings, seminars, conferences and exhibitions. With a number of executive suites you’ll be able to host anything from a dinner dance to a product launch there. 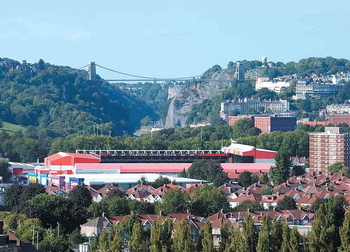 You’ve also got the option to have your wedding there, should you and your future spouse be huge Forest fans. You can go behind-the-scenes of Nottingham Forest’s home ground for £15 if you’re an adult or £10 for adult season ticket holders. 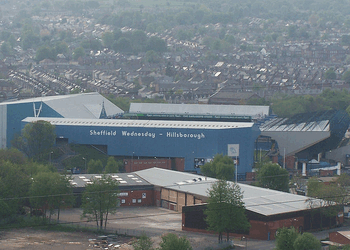 That drops to £5 if you're under eighteen or £2 if you're a teenage season ticket holder. The tours are led by John McGovern, the club captain when they won both of their European Cups, and take in all of the locations you’d expect of an exclusive tour. There are no set dates or times of tours, so make sure you get in touch with the club if you’re keen on seeing the unseen sights. 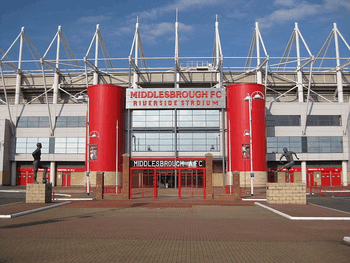 At the time of writing there isn’t a museum dedicated to Nottingham Forest. 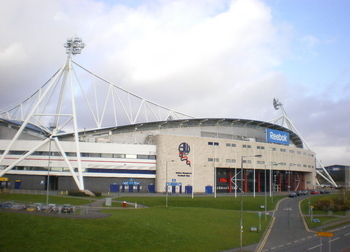 The National Football Museum in Manchester, however, has memorabilia from all of the most famous clubs in the country and Forest would certainly be classed as part of that group. Nottingham Forest Football Club was founded in 1865 and were one of the original members of the Football Alliance which formed in 1889. 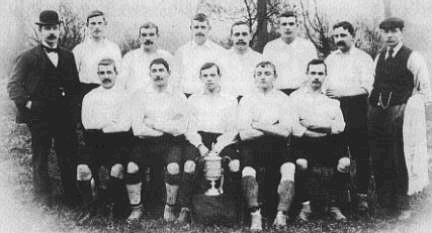 They joined the Football League in 1892 and even though they won the FA Cup in 1898 and 1959 they didn’t enjoy their most successful period until Brian Clough took over as manager in 1975. During Clough’s reign they won the league, won back to back European Cups and won the League Cup four times. It’s little wonder that the fans still hold Clough and his assistant Peter Taylor in such high esteem! Clough’s tenure at Forest lasted for eighteen years but came to an end when they were relegated from the Premier League in its inaugural season. He was replaced by Frank Clark who was able to help them return to the Premier League for the 1993-1994 season when they finished third. He was released in December of 1996 when it became clear that the club was involved in a relegation battle. He was replaced by Stuart Pearce as the club’s player-manager. Forest yo-yoed between the top two divisions before finally succumbing to their debt, earned by spending so much on players to keep them in the top-tier but failing to achieve their aim. They are now one of the biggest clubs to be in existence outside of the Premier League. 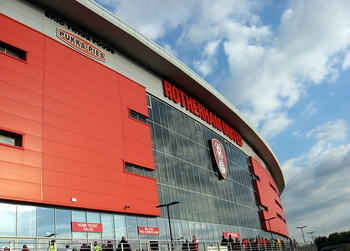 Though the ground is obviously best known as the home stadium of Nottingham Forest, it has also hosted international fixtures and was one of the main grounds used during the 1996 European Championships. The City Ground hosted three different Group D matches, with Croatia beating Turkey 1-0, Turkey then losing to Portugal by the same scoreline and Portugal beating Croatia 3-0. 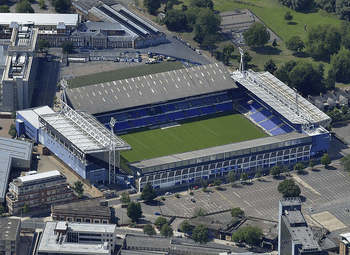 It has also hosted the final of the Women’s FA Cup as well as the semi-final of the rugby Heineken Cup and a music concert featuring REM. When The City Ground was closed in the wake of the fire in 1968 Forest played six of their ‘home’ fixtures at nearby Meadow Lane, the ground that belongs to the club’s fierce city rivals Notts County. Though County were, of course, happy to help their neighbours in their time of need, knowing that football is ultimately just a game, they were probably quite delighted to see Forest fail to win any of their games there. 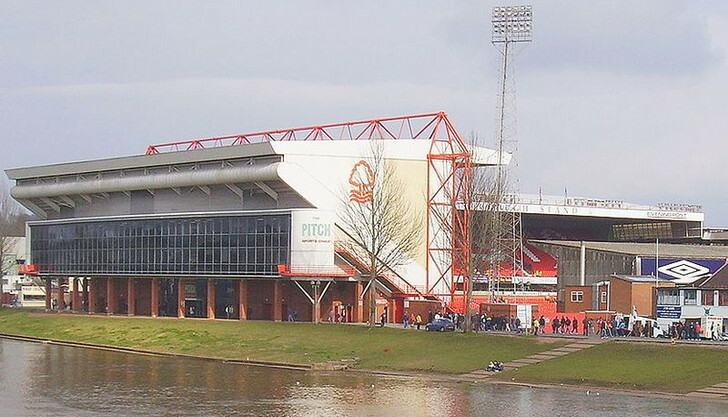 In 2007 Nottingham Forest made it clear that they planned to leave The City Ground in favour of a new stadium that would be suitable as a location for World Cup matches, should England win their bid to host the competition that year or in 2022. 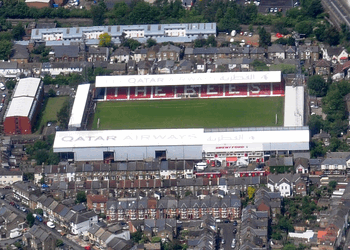 When it was announced that Russia and Qatar had won the rights to host those tournaments the plans to move were shelved, with the club now considering re-building The Main Stand, should it win promotion back to the Premier League.